The first player of our new series is somebody who’s skills with a bow would make Robin Hood go green with envy: Nausk! In our new player spotlight series, we highlight players that have made their name in the community of Albion through their own skills and achievements. 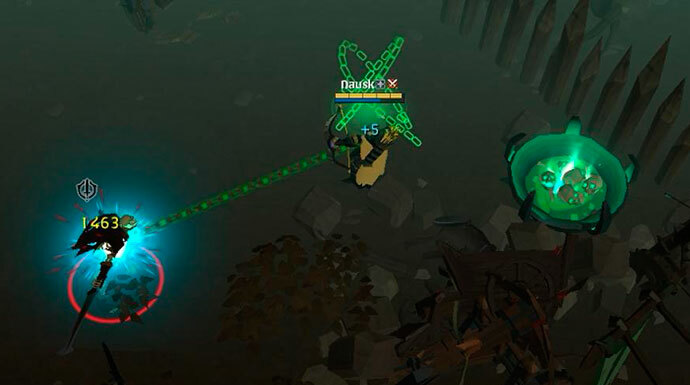 This time around, we take a closer look at the Warbow and solo-PvP expert Nausk. On his YouTube channel and in his Black Zone Tales-series, he shows us again and again what impact a single player can have, even in the most dangerous zones of the game. Enjoy! A: I’m a young adult that enjoys observing the surrounding world and its phenomena, is pretty easy to get along with and usually open for new things. Q: Where does the name “Nausk” come from? 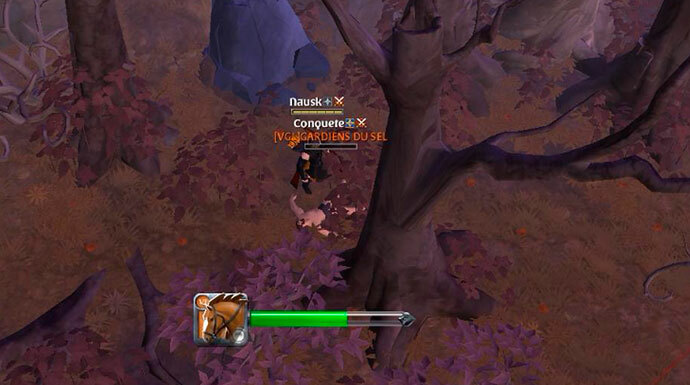 A: The name “Nausk” dates back to 2015, before I started playing Albion Online (July 2015). I tried to come up with a name that would have five letters and one letter after another, it all came together. I was happy with the outcome so I sticked with it. Q: How and when did you first get into video games? A: I was a few years old when my parents bought two Game Boys (the first one in the Game Boy line) and if I can remember correctly, Tetris was the first video game that I played. Q: Where did you go from there? When did you start with Albion? A: After handheld video gaming system, I played with Macintosh, different consoles and PC. I started playing Albion Online, when the first Beta kicked off in 2015. Q: Tell us about one of your favorite moments in Albion. A: It happened in the zone south-east from Boneharbour (red zone city in Beta 1). I was trying to catch a player that tried to escape from me and a few friends of mine. A Direwolf got involved before the death of the escapee, so I killed the creature almost at the same time as the player was about to die and happened to missclick on the Direwolfs corpse, that opened a window with a Direwolf Pup. Q: What are your goals at launch? A: I’m trying to find time to play Albion Online, enjoy the game as much as I can and play the game with friends as well as solo. Q: You do a lot of PvP videos for Albion. What do you think is the best about PvP and Albion and what would you like to see changed in the future? 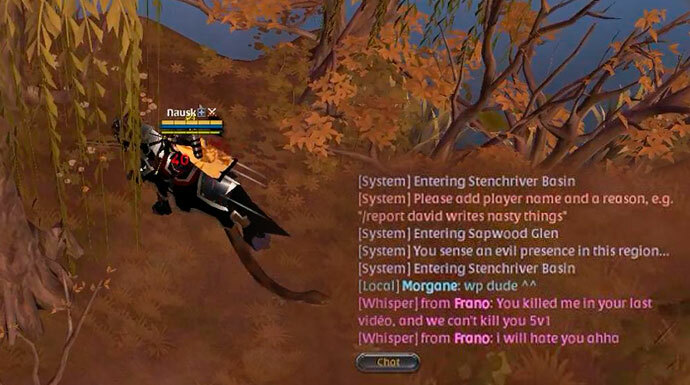 A: In my opinion solo PvP is the best form of PvP, because of the feeling one gets after and during a good fight. I would like to see more reasons for solo players to roam the black zones. Q: Right now you are working on a series called “Black Zones Tales”. Can you tell us a bit more about this? A: Because of the reputation system, I find myself doing almost only black zone roaming and thought that I could document and share some of the moments that I experienced during those adventures. If even one player learns something from those videos, I feel like I have succeeded, since making videos is only a hobby for me, which I don’t take too seriously. Q: What are your plans for the release of Albion? A: As far as the content of the future goes, I myself don’t even know what the future holds for us, so I guess the time will tell. Q: Is there any advice you can give players who want to start making Albion YouTube videos? A: Upload content that you could watch yourself, listen to the right people and try your best, so you can look back to those time and feel good about it. Q: Which one of your videos do you think everyone should see? A: Because it’s hard to pick one - the newest one. Quick questions, even quicker answers! 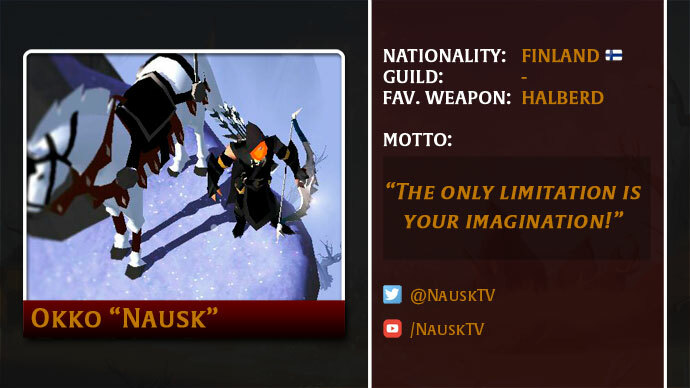 If you want to get in contact with Nausk or simply follow his Black Zone adventures, you can find him on YouTube, on twitter or on the official forums. Have you ever met Nausk in game? Or maybe you are in one of his videos? Let us know in the comments below or on our forums!